Dj / Producer Garry Heaney has been involved in the music scene since 2004 and has had the pleasure of playing alongside some of the biggest trance dj's the scene has to offer. 2009 seen him feature alongside Armin Van Buuren, Markus Schulz, Gareth Emery, Sean Tyas, Thomas Bronzwaer to name a few, in some of the best venues Scotland has to offer. Garry's Drive and energy behind the decks has has now spilled into the production side, and a debut release "Too Far Gone" signed to arguably one of the best trance labels around DISCOVER, and he is back for more with "Citation" signed to SPINNIN' records and 2 forthcoming releases with Check Mate & Zero Tolerance on INFRASONIC recordings, 2009 was a very productive year for this young Scotsman. 2010 kicks off with 3 releases on SPINNIN' with "X Marks the Spot, Dry Ice & Spitfire" together with various remix work. 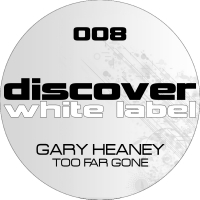 With more material in the pipeline 2010 will be the year that Mr Heaney rubs shoulders with trance elite.